BBQ Pig's trotter is a well loved snack in China, especially among students. Grabbing a piece or two after school from roadside stalls is not uncommon. 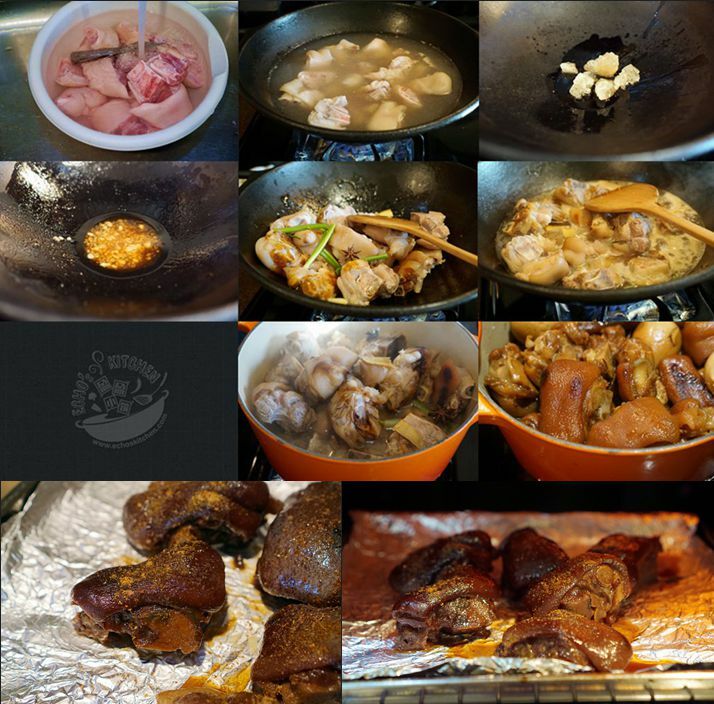 If you have a big pot of Braised pig's trotters that you prepared for Chinese New Year dinner and have some left over. 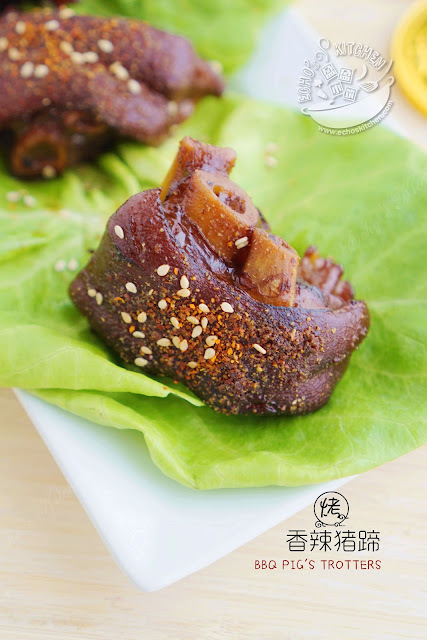 Try this BBQ Pig's trotters, you will be so glad that you have left over! 1. Make a pot of Braised Pig's trotters one night before and serve for dinner. Save some to make this BBQ Pig's Trotters. 2. 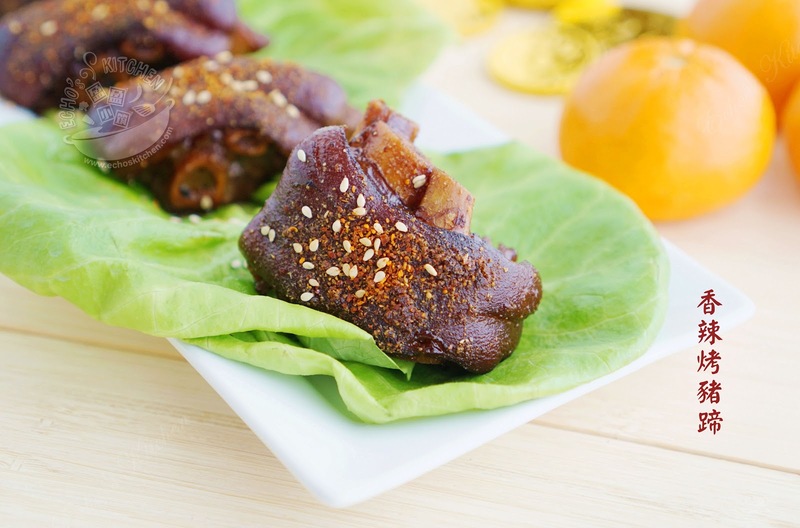 Mix Homemade Chinese Style BBQ Seasoning with sesame in a bowl. 3. Place Braised Pig's trotters on baking sheet, spray a little oil and sprinkle some Homemade Chinese Style BBQ Seasoning mixture on the pig trotters. Broil for 5-8 minutes and serve warm.